Learn all about designer and niche perfumes for men and women, including grooming and beauty tips from The Perfume Shoppe. 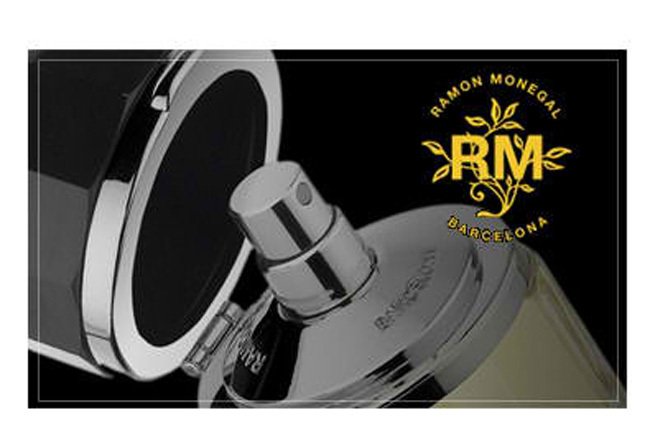 Ramón Monegal comes from a long and distinguished line of the most important perfumers in Barcelona and Spain. He represents the fourth generation of the founders of the house of Myrurgia, which was the official purveyor of the Spanish Royal Family, and the most important international perfumer in Spain. After 30 years in his profession, having become a master perfumer and authentic nez, the challenge of Ramón Monegal is now to reach excellence and transfer his knowledge to the fifth generation. Perfume can only rise to the level of art when accompanied by the absolute freedom of the mind and spirit. To be able to use formulas containing necessary ingredients and proportions without being coerced by the costs or other restraining factors is the path to recovering the true and ancient craft —a path that is these days seen as the cutting edge. Ramón Monegal recognized early on this emerging tendency towards more crafted perfumes and in 2009 began to grow his much desired project in all of its characteristics: to offer a fragrance collection of a master perfumer, to claim his own identity like the perfumers of the golden era before mass production, to have his own workshop that specializes in the mixing, maceration, production and control, and to work with absolute artistic freedom. Monegal seeks to use the most noble and delicate essences that exist in the world, creating fragrances that induce feelings and emotions, fragrances that evoke a timeless Mediterranean passion and whose elaboration restores the natural language of the craft —to excite, entice, surprise, create desire, pleasure and magic. The true nez, in addition to composing perfumes, are specially trained to select from all of these materials to reach the level of necessary excellence, no matter the cost. Because in the end, a good perfume is the balanced blend of natural scents and chemical molecules of the highest quality, which together turn the imagined poetry of a particular fragrance into a reality. This is the Pure Parfum Oil Splash bottle. Hand Signed by Yosh. An elegant vanilla sandalwood musk with a hint of the earth and a bit of coconutty sweetness from the fig. It's insane. Trompeur, meaning "deceit" in French, is what the ORIGINAL J.T. Le Roy ( ***Heart Is Deceitful Above All Things) blend smelled like. It's a lush, exotic scent with notes of fig, bay rum, massoia, sandalwood and vanilla. This is a nice fragrance for fall and winter, as it has a cozy gourmand note, like a rich Indian desert. An exotic fragrance, it captures one's inner beauty. Such an interesting substory to today's SOD- (excerpt from Nathan Branch)"...Yosh Han’s Trompeur, a fragrance with a provocative connection to the world of contemporary literature — namely, literary fraud JT Leroy and his/her once critically acclaimed but now thoroughly disgraced novel, The Heart is Deceitful Above All Things. The story goes that indie perfumer Yosh Han was contacted via telephone by the woman masquerading as JT Leroy and commissioned to create a perfume to accompany the release of the upcoming film of his/her allegedly autobiographical novel. The fragrance was designed to be “earthy and overtly sexual by blending bay rum, vanilla and fig oils” as a testament to the struggles of the novel’s protaganist (allegedly, JT Leroy). The whole JT Leroy hoax fell apart soon after, the film was considered an abysmal failure, lawsuits started flying and Yosh Han quietly withdrew her support from the project, but then along came the fragrance ‘Trompeur’ (French for misleading, betrayer, deceiver), which Yosh Han fans claim is a near carbon copy of the perfume Han created for Leroy, though now renamed, mixed, bottled and distributed personally by Yosh Han herself. Apparently, Ms. Han didn’t take kindly to getting roped into a fraud, and this seemed her way of regaining ownership of her own work. Besides, who’s going to fault her for taking back the forumla for a fragrance that was commissioned in a blizzard of lies? For while the JT Leroy persona was a cruel ruse, Ms. Han’s creation is the real deal — gentle, persuasive, sweet with a twist. The fragrance is so obviously a labor of love, made all the more poignant that it was Yosh Han who was deceived. Because the formulation is a pure perfume oil rather than mixed into an alcohol base (Han creates all her fragrances as oils), the end result is exceptionally smooth and clings to the body rather than distinctly projecting from the wearer. I’ve experimented with varying applications, and Trompeur appears to do best when applied over the entire body (from shoulders to ankles) rather than merely dabbed on the wrist. The scent is not a powerhouse by any stretch of the imagination, and a few dabs on the wrist simply can’t hold up to the onslaught of the real world once you step out into the day."... "Trompeur does, however, have excellent longevity, and its vanilla-sandalwood-musk trinity at the finish beautifully complements intimate conversations and close proximities. Massoia is said to be one of Ms. Han’s favorite scents, and it’s utilized here with great skill, like a slight breeze through the coconut grove, a hint of an island paradise waiting at the end of a long, hard road." BTW- Your Trompeur box is hand signed By Yosh! © 2013 The Perfume Shoppe. Powered by Blogger.